This mint bag is the first pastel piece I ever featured on P&P. 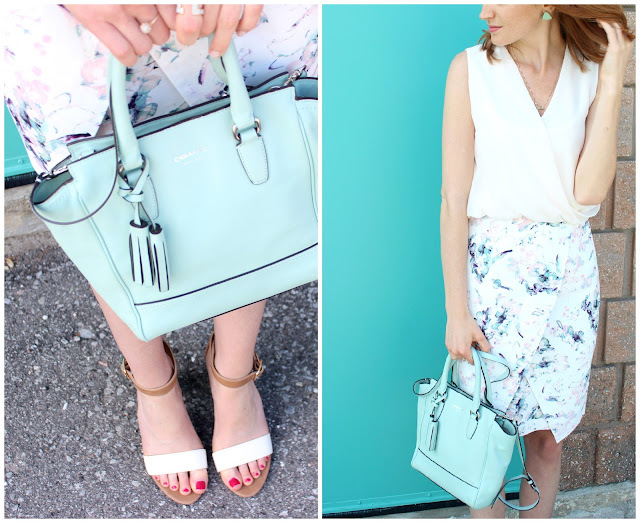 It lead me down a path of pastel obsession and fixation, and every time I wear it I am flooded with the memories of first starting this blog. The bag was first bought as my every day bag, it accompanied me on a European adventure, and has now become a special piece I cherish wearing. I pulled it out for a wedding shower last weekend, and just loved how it accented the colours in this watercolour skirt. Coming across a big mint door was just an added bonus!